Jaguar Colorado Springs in Colorado Springs, Colorado currently has this sporty Approved Certified PreOwned 2017 Jaguar F-PACE 35t Premium in our inventory! A retired service loaner car, this vehicle only has just over 6,000 miles! So few miles but they add up to big savings for you! Equipped with a 3.0L V6 supercharged engine, you should get an estimated 18 MPG city/23 MPG highway. Plus, you will be wowed by the amount of features you will get as well including a Cold Climate Package, rear camera, black roof rails, heated windshield, heated steering wheel, navigation package, Meridian sound system, and many more. This beautiful vehicle is ready for a new owner and that new owner should be you! 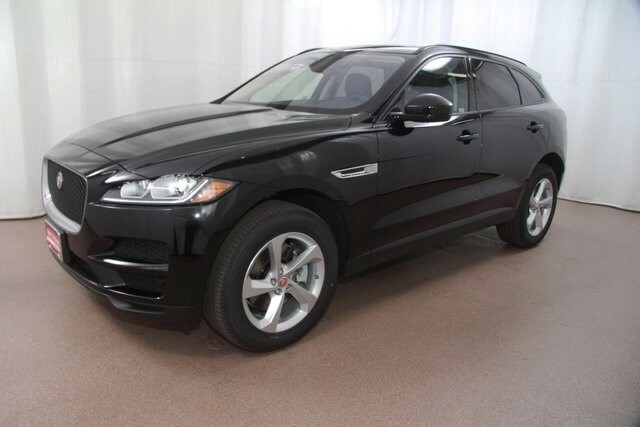 Stop into Jaguar Colorado Springs today to check out this sporty performance SUV. This gently-used 2017 Jaguar F-PACE 35t will provide you the performance and capability you need along with the luxury and comfort you want.